First 7nm consumer "gaming" card. Seems to be based off of their Instinct Mi50 card. Hovers around the RTX 2080 performance. Drivers are buggy (contrary to recent AMD driver performance) at time of review. Overclocking is broken due to new API changes. Power hungry like the Vega. 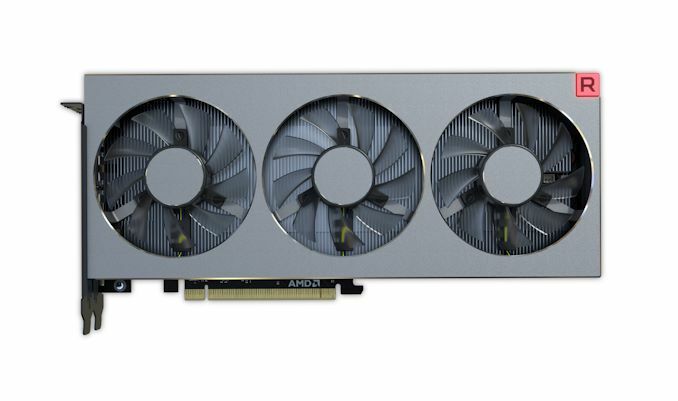 AMD's stock cooler isn't as quiet as Nvidia's cooler. Power hungry? Hot? Mildly underwhelming and can't truly compete on the ultra high end? I mean, it's not a bad card it seems like. I can see the fanbois craving over the select few workstation performance benchmark and using that as the sole reason to why this card is better than the RTX 2080. Nah it's not terrible, better than Vega definitely. But still. Yea... the card seems to lack the polish it really needed at launch. Once the drivers mature a bit, this card is going to be pretty good... except for the power consumption and heat.